Twitter is packed with myriads of opportunities to promote business and drive traffic to your website. You only need to search out the avenues, test them out, and give them a try. And Twitter Cards are no more exception. 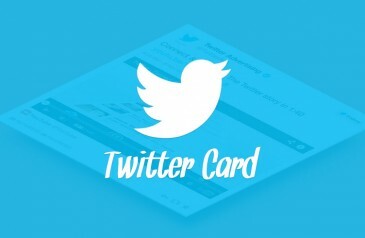 It used prudently, Twitter Cards can be utilized to drive added traffic to your business. Given the dynamic changing marketing trends and impact of social media in day to day lives, it is obvious to explore differ types of Twitter Cards, and use them innovatively to drive traffic towards your website. It is an initiative to extend the functionality of Twitter. It offers the user of twitter a richer experience by enabling you to add visuals and call to actions within your tweets. There are several Twitter Cards with distinct intent. The focus of this card is to offer your audience a preview of your website content. In case they liked the content and wish to know more, they can click through and visit your website. This is also similar to summary card except that it is crafted to offer your audience a richer image experience. You can have extended opportunity to drive traffic towards your website by providing a large, full-width prominent photo alongside your tweet. Albeit, this card is also same as Photo Card, it allows your audience to know that they can get multiple images in a single tweet, i.e. up to 4 images. They can hit the image sites via the image. It has a gallery of images for the audience that can be clicked and viewed at “View on Web” link. This too is same as the Summary With A Large Image Card. The only difference is that it allows you to put the image on front and center in the tweet and clicking on the image will expand it to wider and richer in-depth view of the image. This Twitter Card is purposefully created for the mobile audience and it can be used by directly downloading this App to a mobile device. It is about streaming media like video and audio. It provides an inline streaming experience, and the audience can listen to the audio on the original site. This card enables you to delineate and showcase the category information, like product attributes and costing to your audience. It contains various locations to land to the website. This card is a paid service that can be used to promote your services, using which you can garner the email addresses of your audiences without even twitting. Just by clicking the card it can save the email address. This type of Twitter card is another paid card that you can use for promotion your business. This card enables to you place a ‘Call To Action’ button on it, which will drive your audience directly to website page of your choice. Twitter need added metadata for each page you want to link with Twitter Cards, which can be added manually or, a WordPress website or through a Plugin. Several WordPress Plugins are compatible with Twitter Card. You just need to search for “Twitter Card” on WordPress.org. After installing the plugin, you need to follow 4 steps to enable your Twitter cards. Now test the page by tweeting it, your tweet will have your Twitter Card of choice. Twitter has recently unlocked the tweet performance analytics to all its users. This can give you the summary of total impressions in every month which you can get in comparison statics with last month performance. It will display number of retweets, favorites, replies for each individual tweets. You can see how your engagements, retweets, link clicks, replies and favorites are trending over the last month.